In October 2017 was I lucky to be granted a 10-day tourist visa to Syria. Friends and family told me I had to be insane and that I must have a death wish to want to visit Syria in 2017. Everyone knows there is a brutal war raging in the country that is heading into its 7th year now. The people I told about my plans were all saying the chance of entering Syria was around zero and, if I did manage to enter, I would most likely end up getting killed or kidnapped. So when I finally managed to secure a tourist visa to Syria, I booked the first flight possible to Beirut, the capital of Lebanon, since there are currently no flights to Syria. It´s now really easy to visit Syria, click here to read about travel guide about how to get the visa in less 48hours. Streets are full of people and Shisha houses are full. 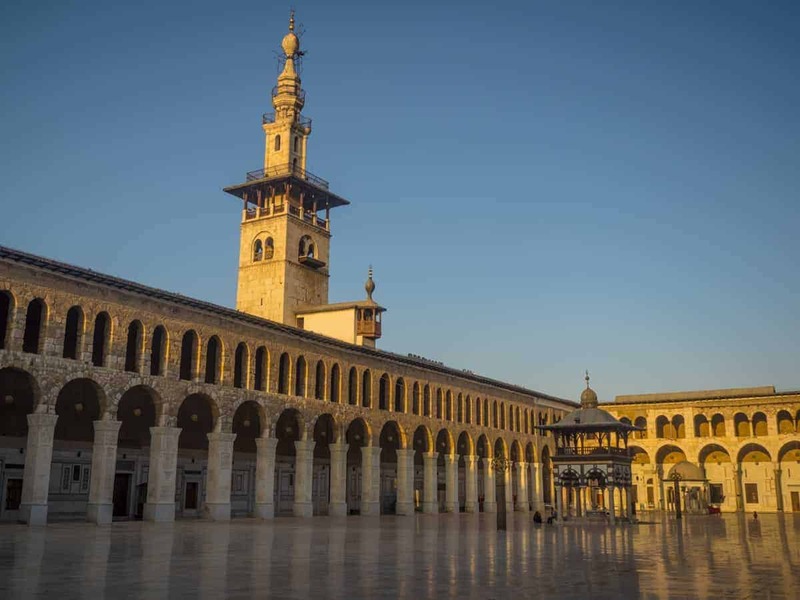 Over the 10 days, I traveled around Syria, I visited Damascus – Aleppo (Read About my visit to Aleppo by clicking here) – Homs with countryside around it, and the Mediterranean coast before I went back to Lebanon for my flight back home to Europe. I went to Syria with an open mind and with no political intentions at all. To obtain a visa for Syria these days, you will have to get a recommendation from someone with contacts inside the country, fill out some paperwork, wait for around 9 – 10 weeks to get an answer and pray that you will get accepted. Most people don´t even receive an answer. Local families in the street, all souvenir shops are open. I left my hotel in Beirut in the afternoon with a shared taxi heading for Damascus and I would be lying if said I wasn’t excited about my trip into Syria. The trip between the two capitals is no more than 120KM /75Miles, a journey that used to take only around 2 hours to travel between before the war, including immigration procedures. With the circumstances these days I would be happy if I could just make it across the border and into Syria at all. Leaving Beirut proved to be the most time consuming on my whole trip to Damascus since I got stuck in the notorious Beirut traffic jam when leaving the city center. When entering the immigration office on the Lebanese side of the border I noticed early on that myself and the 5 other westerners I was traveling with were not the only foreigners crossing the border. There were another 9 Europeans together with the tens of locals exiting Lebanon the same time as me (the border is open 24/7). Exiting and get stamped out of Lebanon only took a few minutes. Here´s a short video from my trip to Syria, filmed with GoPro. The first thing I noticed when entering the Syrian side of the border is how organized and calm everything was. People are lined up in queues. There are no soldiers around and only a few welcoming border guards. To make a long story short, the Immigration on Syrian side took only around 20 Minutes before I was stamped into the country and ready to go. I entered Syria just in time to hear the 7 PM call to prayer from the Mosques in the distance. 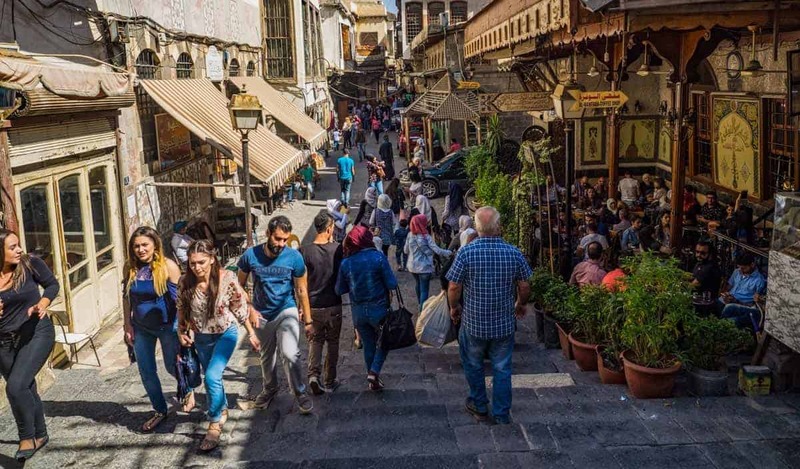 The first thing to notice when arriving in Damascus is all the street life going on; young couples holding hands in the streets, shops open everywhere, shawarma stalls next to tea and coffee stalls and, in general, the streets are full of people like in any other country. There are no signs of war going on except the few relaxed soldiers sitting on a street corner. Traditional Resturant in an old home. I only went for a fast dinner and a few beers in a traditional restaurant full of people before heading to bed. I wanted to be fully rested and up early to explore the streets of Damascus the next morning. After waking up early to walk around of the oldest cities in the world, I left my hotel in the old city and you quickly notice the smell of fresh bread. The milkman is on his bike delivering milk around the old narrow streets and the fruit and vegetable stalls are full of fresh fruit and vegetables. 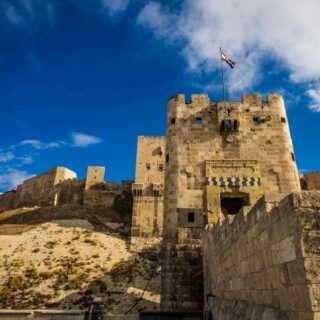 Established between 10,000 to 8,000 BC, Damascus is credited with being the oldest continuously inhabited city in the world. When walking around the old city, you start to wonder if there is even a war going on. There´s absolutely no damage here. All shops are open and the streets are bustling with life. There´s a few military checkpoints here and there but you don´t really notice them. Even here the soldiers are happy to see tourists. Shopkeepers are overwhelmed with happiness when they see that tourists are back in town. You are completely free to travel around Damascus on your own. You can take photos of everything you want except military checkpoints and government buildings. It´s very easy to forget that you’re in a country that ravaged with war when visiting Damascus but then you suddenly hear rocket hitting the terrorist-infested Jobar district only two km away in a straight line from where I’m staying and enjoying life. Between 10 – 30 rockets I could hear a day. 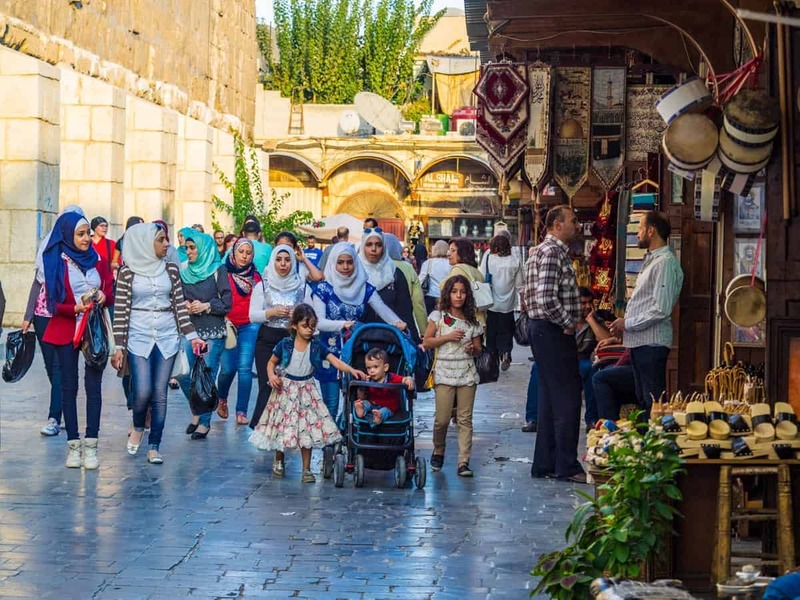 Just like before the war, there is plenty to see in Old Damascus – The Umayyad Mosque, the 4th holiest place in Islam, take a walk around The Souq al-Hamidiyya (old market), visit The Damascus Citadel or just get lost in the narrow streets filled with a century after century with history. Umayyad Mosque, The Mosque was a Christian Temple before it becomes a Mosque in 634. The Entrance to The Souq al-Hamidiyya is an old Roman temple. If you get tired of walking around the streets, just walk into an art gallery to have a look at modern art in Syria, relax in a local Hooka cafe while looking at bustling street life or listen to a local storyteller. Everything here is just like it was before 2011. But like before 2011, so is the Old Town of Damascus the place you to stay to explore. 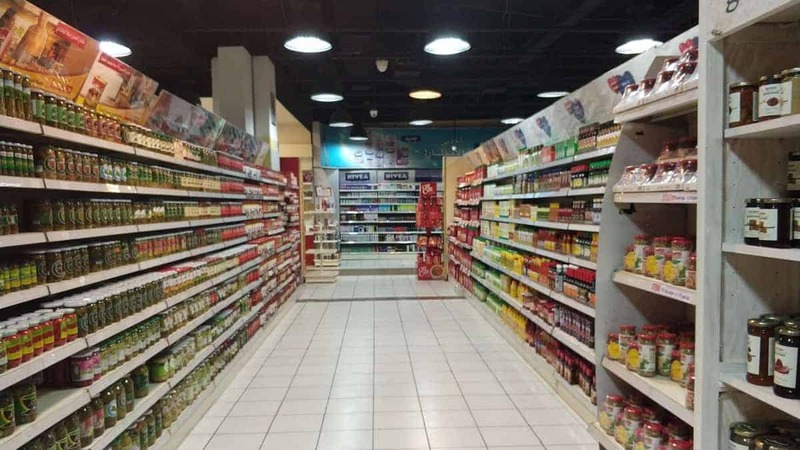 The only real reason to head into to modern part of Damascus is if you need to do some proper shopping at a western style shopping mall or to visit a supermarket just as well stocked as any supermarket back in Europe or America. 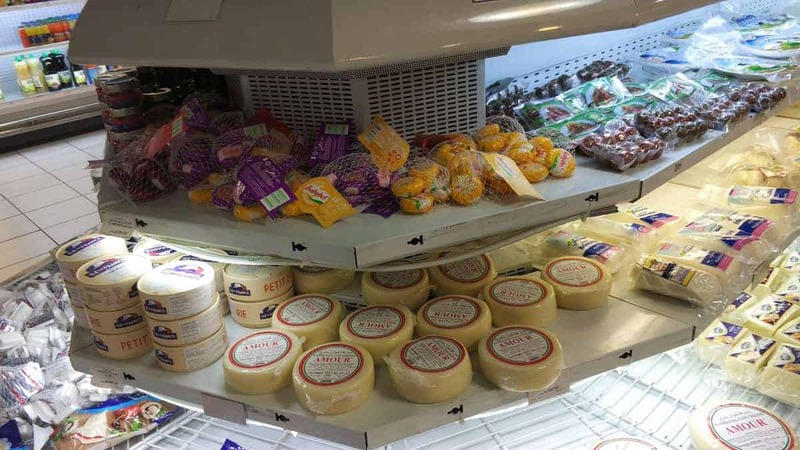 Everything is available here. Jack Daniels, or Jagermeister? 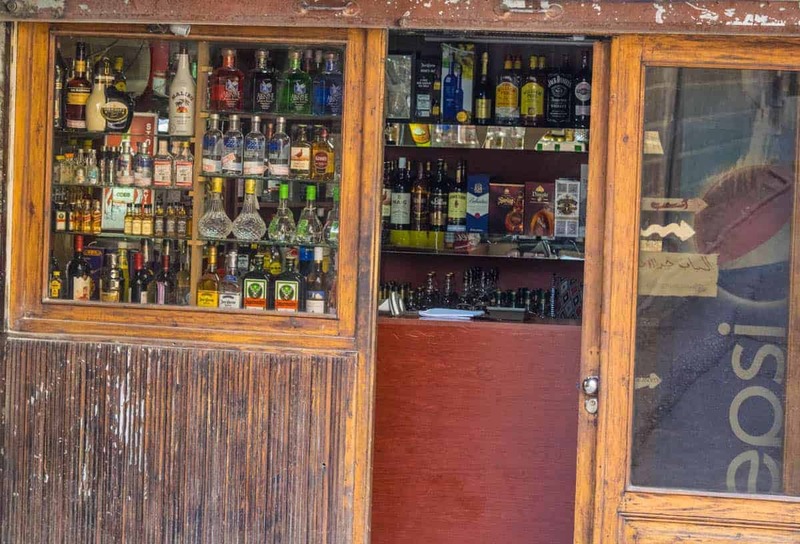 Alcohol shops are everywhere in Syria. Overall, Damascus is so completely opposite of what the media has been telling us for the last 7 years. So I wonder if the journalists have actually ever been here themselves. Christian churches are located door to door to Mosques. Both are filled with people. Even the Jewish Synagogue in the Old City of Damascus is still open. You see Christian weddings around the city and Priests walking around in public. 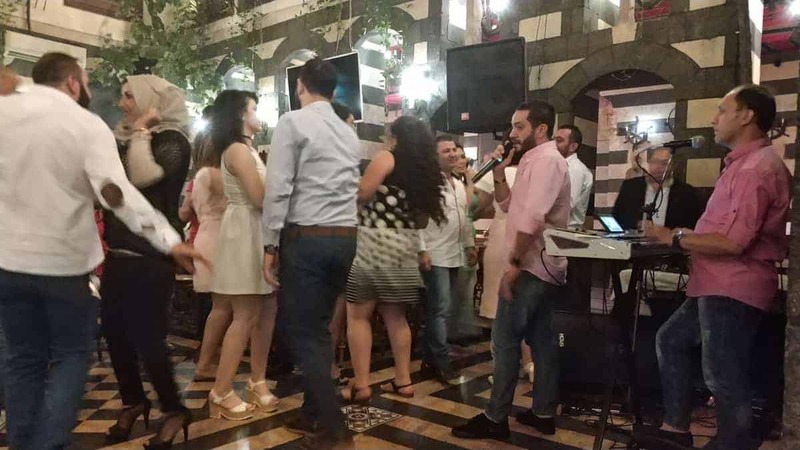 And in general are Damascus residents enjoying life. A beautiful girl looking at her friend taking wedding photo. A Christian Wedding, You see Christian Weddings every day. In the afternoon, the bars and pubs are filled with locals that enjoy a few beers and drinks together with watching European football on big screens. And all of them are welcoming to you as a tourist. I went out drinking with the locals to 2 am before walking back to my hotel on my own. I was lucky enough to walk around and explore Damascus for 3 full days. Never did I experience any hostile or unfriendly people. Everyone was so happy to see that tourists are back in town. Visiting Damascus in 2017 as a tourist feels just like being home in Norway or walking around Barcelona or any big western city. Damascus is very safe and ready to welcome tourists back. After 3 Peacefull days in Damascus was it time to leave the capital and travel north to Aleppo. Click here to read. Click here! to read about my visit to the world´s most impressive castle, KRAK DES CHEVALIERS & THE VALLEY OF CHRISTIANS. Thanks for doing this! I’ve been curious as to how the war has affected the daily life there….it’s very nice to get an alternative perspective other than the usual press sources. I’ve wanted to go to Syria for some time but my family and friends say the same things that were said to you. I go places they won’t go and those places (just returned from Russia) are NEVER like the propaganda would have us believe. So, my question is: how do I find a contact in Syria? I know no one there. Maybe you could give a name or place where I could begin. Loved your photos and dialogue and know it’s exactly as you describe. Thanks if you can advise. This makes me ponder.. really think… What is real and what is a mirage… This article and your travel to Syria, gives me hope for the people who reside there… I hope the war affected areas too, return to normalcy soon! you are awesome. thanks a lot for sharing!! I will be writing a post about all information about traveling around Syria soon, just gone finish the posts about Aleppo and Homs with Central Syria first. As now, so are more or less every hotel in Damascus and most of them in Aleppo open, just as before the war. I was wandering in which Embassy you have managed to get the Sirian visa. Would it be possible to know it? Thank you a lot!!! The visa is a complicated thing, You will have to pre-arrange it, it can take up to 9-10weeks. You will have to contact someone that work with tourism, or used to do it back before the war. When your application gets accepted can you pick it up at either the border (that´s what I did) or at the embassy in Beirut, but it HAS to be pre-arranged. Great article! Thanks for sharing Ur experience and showing the real Syria now. I really wanna visit too. For the visa You said u need to.contact a person who works in tourism. Do u mean someone located and working in Syria who works in tourism ? Do u think it’s easier maybe to just fly to Beirut und try to get a visa there? Maybe in a travel agency? I have no idea how to do it best. At the moment is it almost impossible to travel to Beirut to get the visa without having prearranged the papers. I did meet a few people in Beirut that have tried that but have given up in the end. For me did it take 9-10 weeks from I emailed the papers before I got the answer that I could go. BUT things are set to change next year, I know at least one European travel company are set to start doing tours there next year, (they already offering a consultancy service for people looking to visit Damascus on private individual trips from Beirut). I also get reliable information from people that things are set to change from March next year. BTW: The easiest way to visit now, is to go through a Christian Chruch, they receive the visa much much easier then tourist do. Thanks Christian for Ur reply. I would like to go next year in summer, so hopefully it will be getting easier to get a visa. Fingers crossed! As one who has travelled to Syria since the age of 2 and from Beirut 8 times in the last 3 years, I can say that you do not necessarily need to pre-arrange the visa if you are willing to pay a sum for the visa at the borders. I am a Swedish citizen and enter the country as such even though I have family in the country. I have tried to pre-arrange the visa but it is too messy and complex so I have ended up just ‘buying’ the visa at the borders. Works fine as well. Thank you so so so much Chris for this awesome article. Hope to see you in Damascus one day and your beer is on me. Wow, utrolig interessant lesing! Jeg har selv fått erfare at verden ofte er ganske så annerledes fra hva media forteller oss, og at man ikke må ta alt for god fisk. Jeg er imponert over stedene du reiser til, og det er godt å se at ting ser ut til å endre seg til det bedre i Syria nå. Ja dessverre viser media også Norsk media et helt feil bilde av store deler av verden. Fantastisk flott å lese dette, og ikkje minst sjå bileter frå Damaskus. Dette beviser jo noko vi alle veit, at media vrir på sanninga slik det passer, er det krig så er det krig. Kunne godt tenke meg ein tur til Syria. Gamle historiske stader som det står om i bibelen er høgst interessant. Gled meg til og lese meir frå denne turen ? This post is amazing. 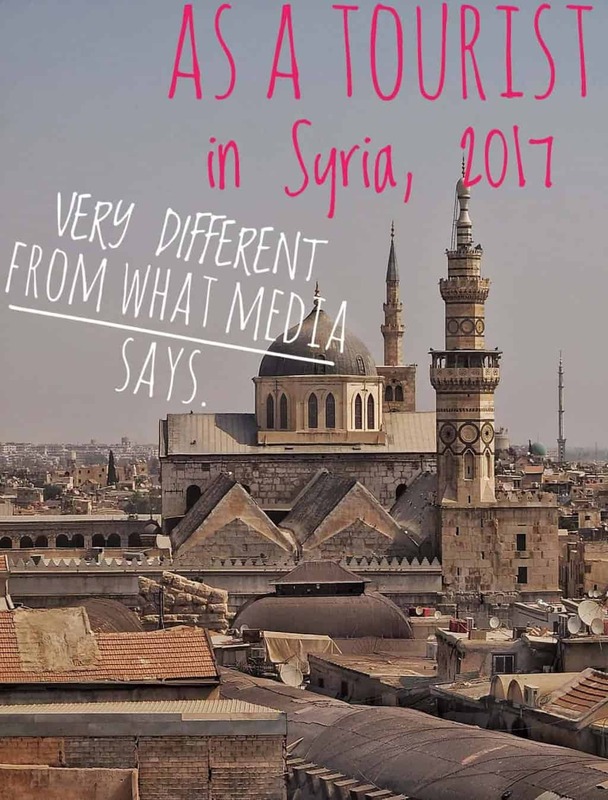 I have been wondering and thinking to get a tourist visa for Syria in the last years and never got a more beautiful, accurate reportage. Fascinating journey and nice pictures! WoW! When you say “a recommendation from someone with contacts inside the country, fill out some paperwork, wait for around 9 – 10 weeks to get an answer” – do you mean obtaining a letter of invitation, then complete the visa application forms and then wait 9-10 weeks to get the application approven a Syrian embassy? Thanks in advance and continue with your journeys! You need someone in Syria that can guarantee that you are the person you claim to be, I was told there had been cases where people that claimed to be normal tourists were actually spies and activists. So now all visa applications have to be faxed and processed in Damascus even from the embassies, then IF accepted will your visa be faxed back to the embassy. The good thing about this is that you can pick up your visa at the border (that´s what I did). So no need to wait around Lebanon. It is a great post. Just wanna ask you, if you have a contact to somebody from tourism. I visited Syria last year. It was amazing. I could spent there only 4 days, and wanna visit my friends again. But one year ago, there were only a few people, who could do the paperwork, and it was crazy expensive. 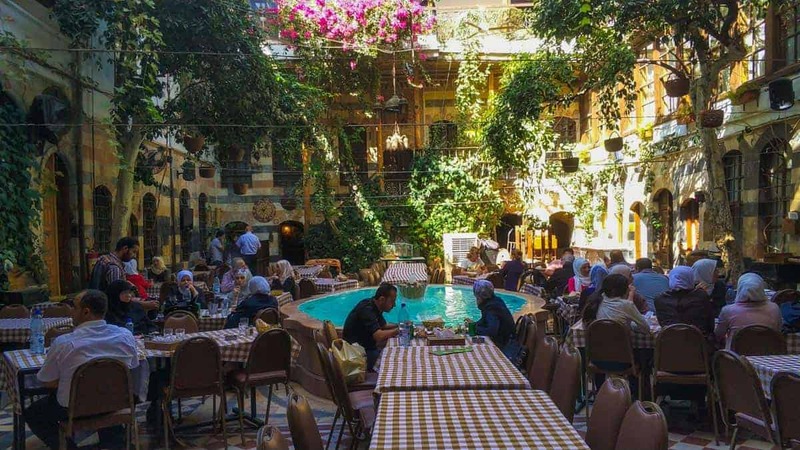 Life looks so rosey in Damascus. I wonder why you came back! Can you tell us who was your contact in Damascus who arranged for you the tourist visa? Can you tell us why you decided to go to Damascus ? Is it an invitation from the Syrian government? Or do you work for an intelligence agency? I came from Damascus and I thought you were talking about different city and country. I suggest you go to Gazza city and you discribe the rosey life there too. I hope you liked the I love Damascus sign. Why did BoredPanda remove your post? Honest question and curiosity here, no irony. I honestly got no idea why they did it. They didn’t give any reason? That’s really interesting actually. I don’t know if you realize but your post can strike several political nerves, just by showing the reality you encountered in your travels. I’d appreciate if you post any follow ups that might arise from these posts! Cheers! Thanks for sharing your recent experiences in Free Syria. Syria now seems to be a much more peaceful place than my homecountry Germany or Sweden, or France, or UK, or Austria, or Italy. In Germany tourists nowadays are very scared because of many threads against their lifes and against their freedom. But our Mainstream Media is still telling their consumers that Syria is still a very bad and very unsecure place. That’s absolutely ridicolous after reading your lines @Chris. Maybe you should actually leave your home for once and explore the world, you might discover that the world is very different from what you thought. In December 2016 I was as journalist in Syria. Next year at Eastern we will visit Syria again as tourist group. Infos at http://www.schweiz-iran.ch. We have 4 seats left. Nice post. I’ve been an admirer of Syria and Lebanon for some time now. The peaceful multi-religious society is fascinating. Our media always seems to tell us that they only want to fight “down there” in the Middle East but it’s not true at all. They are obviously people like you and me. Assad’s rule is not really democratic and him having all that wealth is not fair BUT he is a 1000 times better than the foreign sponsored radical Sunni Islamists who tried to take over the country. When you ask Syrians what Syria was like before the war, almost all of them will say that it was a beautiful country and life was good. This armed “revolution” by radical elements was a revolution that no-one in Syria wanted and needed. Lucky so is there more people than me that are not afraid to question the media:) A thing that I wasn’t expecting before going to Syria is that people are not afraid of criticizing their government in public, and people will openly tell you that they would like to have an opposition party, BUT not a armed one where most fighters are foreigners with the support from the west and Saudi Arabia. And actually around Homs region is the opposition party Syrian Socialist Nationalist working WITH the government against the armed revolution. Thank you so much for your wonderful report on Damascus! 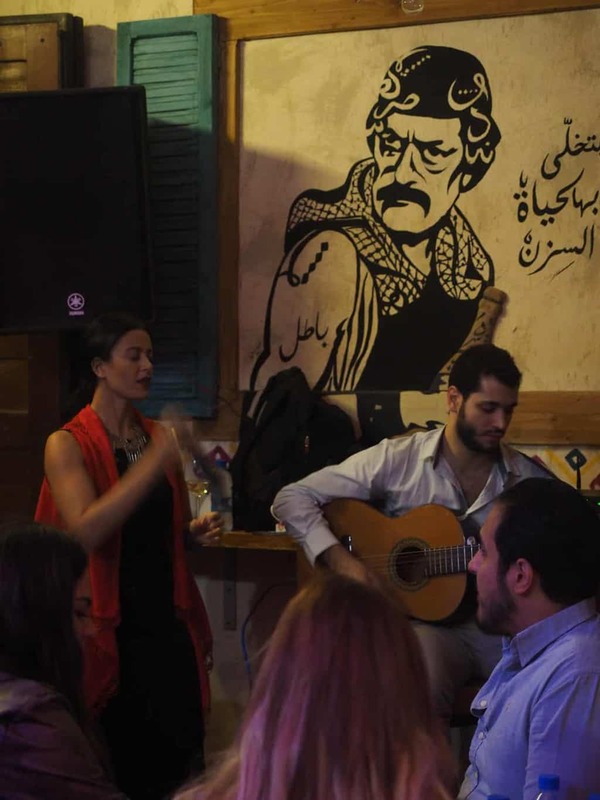 I am half Syrian and I almost cried when I saw the photo of Noufara Cafe in Souq Hamadiya. Countless times I went there when I visited my fathers home country. I think what you do is very important and I can see that from all the replies you are getting. Even tourism is political. Everything in our days is political. But I encourage everybody to see for oneself and go there and speak to as many people as possible. Nothing is just black or white. Syria will welcome everybody who is peaceful. What ist your nationality, Christian? 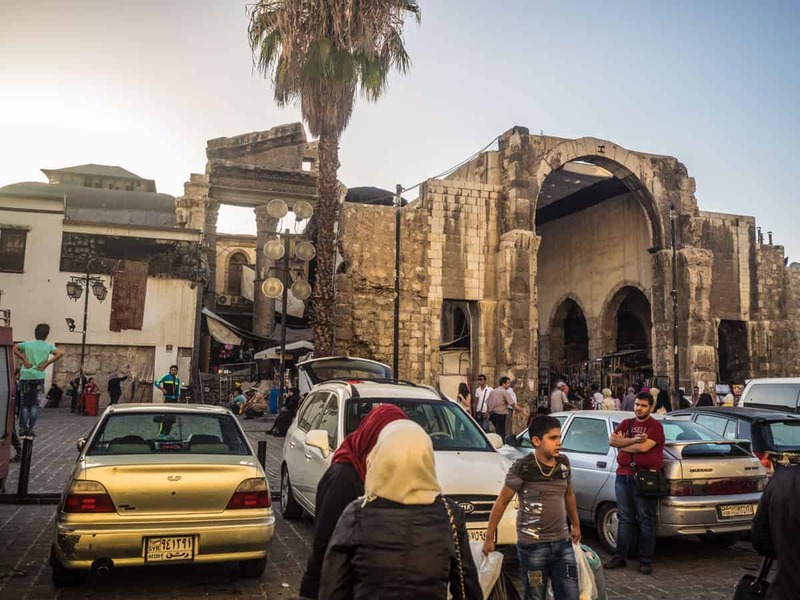 Because if you can read German I would send you a link to an article by my daugther Nadina from last year – when she and her sister accompained me to Damascus. As we are (also) Syrians, we don’t need a visa, which make things a little bit easier. Anyhow – THANK YOU VERY MUCH for this article and the beautiful photos. I’m from Norway, I can´t read German but I can use google translate to read your daughter’s article:) You welcome, I’m very happy to share how Beautiful Syria actually is, I’m already planning to go back soon. All the best for your next trip! I was very surprised to read about your trip. On several Videos you find on YouTube you see masses of destroying in Aleppo, Homs and also Damaskus. This cannot be all a fake. Do I ask myself, what is really happening there. On several Videos you find on YouTube you see masses of destroying in Aleppo, Homs and also Damaskus. This cannot be all a fake. I ask myself, what is really happening. Or is the Syrian war only a movie? There´s is Damaged, Destruction and many thousands innocent have died during the war in Syria, BUT there´s A LOT less damage in Syria then we have been hearing/reading about in western media. When traveling around the countryside between big cities, can we easily see that tons of places around Syria are completely undamaged from the war. 🙂 very nice, very good! Its important to spread the truth! Hey Chris, I wanna ask something. My state’s embassy (Indonesia) in Damascus is still open (never been relocated or closed due to political differences), so does with Syrian embassy here in Jakarta hence I am a bit lucky (hehe). Can I apply for a visa through the Syrian embassy here? Or should I follow your guide? If I may ask, where do you come from and Is your state’s embassy still closed in Damascus? I noticed the Indonesian embassy was open in Damascus, so was a few others, like Japan, Czech Republic, Armenia, China, and 10+ others. Unfortunately, so do I have no idea if you could apply from the embassy in Jakarta, but I would definitely try. My country currently has no diplomatic relationship with Syria, but I managed to get the visa without much problems. So should be easier for you. Just be ready for a long wait, it takes around 9-10 weeks to obtain a Syrian visa these days. I’m now applying for a visa at the Jakarta embassy. Did you manage it? How long was the proces? Do you have a contact person/name in Syria? That must have been really an “eye-opening” trip. Thank you for sharing your impressions. Have you had contact to the citizens of Damascus or Aleppo? Did you have the chance to talk with them about the situation in syria, Assad, the western way to report about their country? I´m really disillusioned, when I see the difference between the TV-News and the pictures you took. Yes, I talked to locals, even some refugees that had moved BACK TO Syria from Europe. The locals I talked to couldn’t understand why the west was going against them and why the west supported terrorists that beheaded people and demanding that females covered up. I did a video interview with a local in Damascus that I’m planning to post later, he was asking me to tell about all the bad I saw in Syria, about all the good I saw, but mostly he begged me to tell the truth of what I saw. Excellent article. One question, why are there no shoppers visible at the supermarket pictures? Hi Christian, no, not shopkeepers, but customers. There were more costumes in the store, but the security guards didn’t like that I took photos, so I had to take where there were no other people. I am so happy to read this, to see these photographs! Where are the official reporters from Europe? I wanna see more! Jorge, no problem. There is a train from Tartous to latakia. And how should I travel from Beirut to Tartus? By bus or taxi to te border Lebanon / Syria and then by taxi. Kudos for making this trip. Inspiring! My Syrian wife and I live in Dubai. 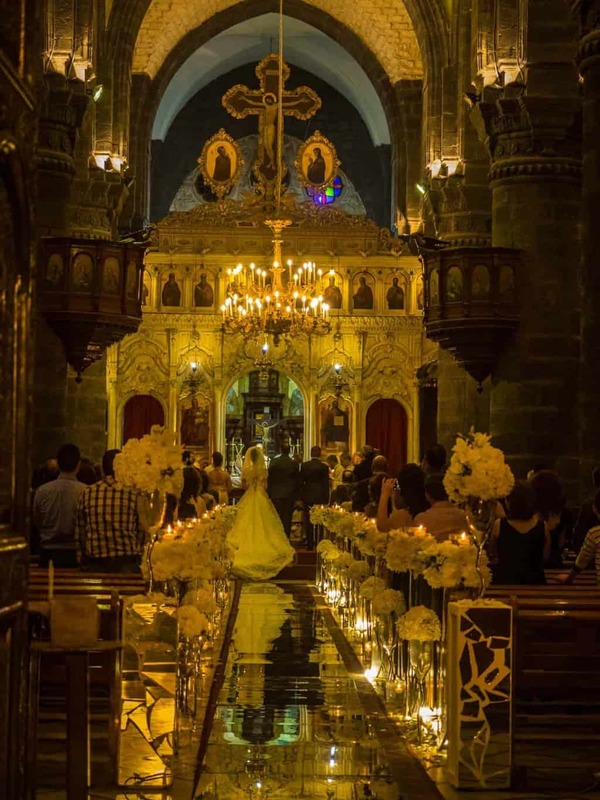 Your articles are helping convince me that it may be safe for me to travel and give my wife the Orthodox Christian church wedding she wants.. Obviously the Syrian authorities know who I am because we submitted our marriage certificate (civil wedding) at the Syrian embassy last year. Therefore, an invitation letter should be possible. My only concern is my nationality. As a British citizen, I wonder if I would be more of a target? You mentioned there were some other westerners in the bus transfer from Lebanon. Any British or American? During my visit to Syria so did I meet 3 other Americans, one of them an Orthodox priest from Hawaii! I also meet 2 British, one of them an older British man that´s been living in Damascus since before the war. 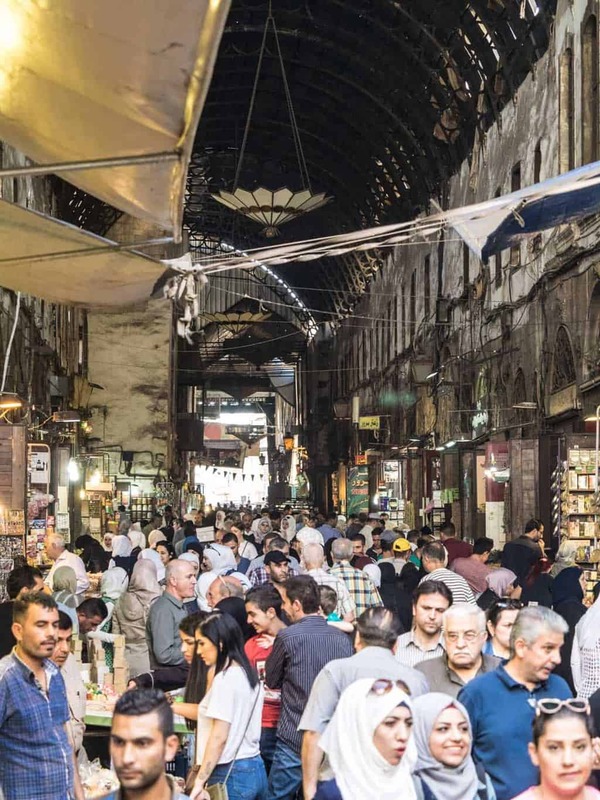 I did walk around with one of the Americans in the old city of Damascus and the old market, we did get stooped by a few curious soldiers but they were just happy to know we were tourist, the also shook the American man’s hand and welcomed him. They were just so happy that tourist was back. I would have no concerns at all visiting Syria, I felt completely safe. And im already planning a new trip back to Syria next year. That’s good to know Christian. Thanks! Thank you for this article. I was so relieved to see your photos. I visited Syria in 2001 with my friends, we were just out of university and picked Syria because the flight ticket was less than 200 eur. That was the best trip in my life. We went for the same itinerary, only Palmyra and Bosra were included as well, took very similar pictures. We spent 5 days in Damascus, we liked it so much that we didn’t want to leave and met the friendliest people ever. Actually the only difference apart from the rockets and ruined parts was that people were afraid to speak about the regime in any sense, they were avoiding this topic very obviously. Also armed guards were present at almost every corner of the city and Assad’s picture were everywhere in various sizes . When I heard the first news about the war, I felt heartbroken for Syrian people. I always wanted to go back, but thought everything we loved was destroyed, so it is good to see this is not at all the case. However, I feel you should be a bit less sensational and more sensitive with your wording. It is good to see not everything is black, but black is there, and for those who have suffered from it tremendously, who lost loved ones, were raped, abused, lost their previous life, home, your wording might be offending. One of my friend is a journalist and was in the war zone at the beginning of the conflict. What is in the news is also true. But apparently, it is fortunately not the only part of truths.So it is good to hear that the glass is half full, but please remember those who belongs to the empty part. Anyway, I am really grateful for these pictures and news. Alot of checkpoints around Damascus was taken away during my stay, there were a few soldiers here and there, but much less than I see in etc, Pakistan, Bangladesh. While I commend you for sharing with us the other side of Damascus, I have to agree with some of the comments above that you may need to be a little more sensible about how you report on the situation in Syria. You are a bit too dismissive of the media coverage from the past six years during the Civil War, but there have been a lot of atrocities committed by both sides that we can’t ignore even though I know you are trying to stay apolitical here. Don’t get me wrong! I appreciate you not sharing the gory details of what you heard from locals so you can keep this travel blog positive as you said. But, Syria still has some unresolved complex political issues that will take some time to correct before anyone can 100% say with confidence that it is “safe” to visit again. It is safer now then a few years ago, but it is far from being “safe” until long term stability has been established. It’s too early to say that has already happened. The takeaway here is that there is some cautious optimism in Syria’s rebuilding efforts from what you witnessed first hand. I’m glad you were able to visit without any issues to your personal safety. Thanks for sharing! Hi Christian – very nice series of articles. I visited Beirut, Damascus, Aleppo – and other cities (Latakia, Homs, Hama, Deir ez-Zur) in Syria in the early 2000’s. 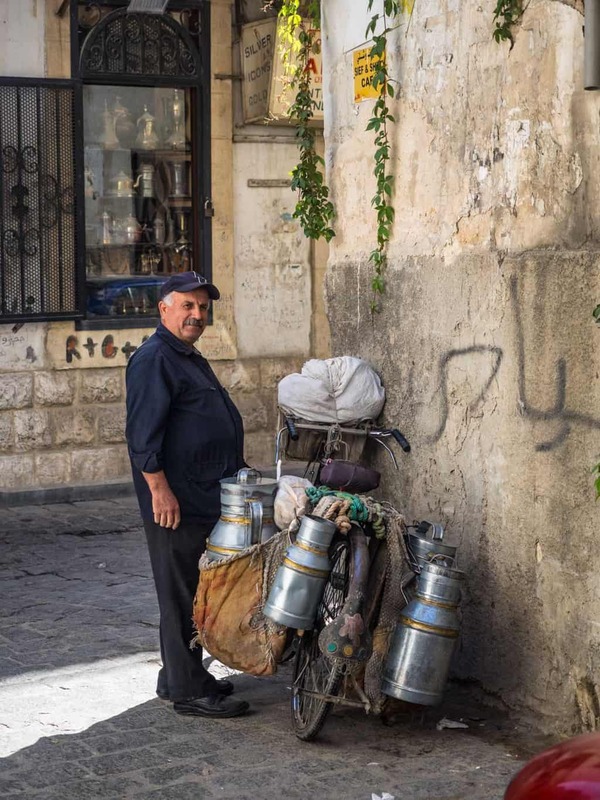 It’s great to see the old town of Damascus again – and everyday life. We know it is a complicated world – and well done for showing some of that “peaceful complexity”! Hello!, Thank so much to post it!. I really want if you can said me how should be this recommendation, I mean, where can I get the format of that recommendation to send it by email to someone there. I’m from Argentina and in Turkey and Lebanon I was trying but I didn’t get any answer. Even from syrian embassy in Beirut they told me that today Syria is not issuing visas for foreigners. So, now I’m in south east but after working in Australia I want to try again. To know Syria is one of my dreams (and also I want to know a girl that is living there and she was waiting for me 😉 ). Last questiong, do you know what would have happen if you had exeded the visa’s time? You can not get the Syrian visa in Turkey anymore. Turkey and Syria have no official diplomatic relationship now. The visa should be available from the embassy in Beirut, but it can take time up to 10weeks. It´s easier to get the visa from Syrian embassy in Sweden, or Belgium. It´s supposed the get easier to get Syrian Tourist visa after March this year if the reports I got from people working with tourism in Syria is right. Hello, it would be fair to sy B when saying A….Damascus is full of refugees living in awful conditions, econimical situation is bad and suburbs of Damascus /Ghouta etc/ are conrolled by rebels and heavy fight is there, people dying.. also rebels are sending rockets to other parts of Damascus – sven centre – and people dying. War is not over in Syria! And still not a country for tourists. People there just learnt how to live in war. I go there regularly as journalist – to many parts of Syria, in Dama I was in May. First of all, calling the group’s like Harakat Ahrar Al-Sham rebels and not terrorist will you lose all your credibility, and that´s one of the reasons media has no credibility anymore about the war. And as a journalist so have you also seen that people can enjoy daily life without any restrictions and have a normal life people in western countries. Still no journalist report about this. “Relying on ‘rebels’ and ‘activists’ and refusing to air the perspective of the Syria government with locals living in government-controlled areas are the media Betrays the Most Basic Journalistic Principles When It Comes to Syria. And every local i talked to and foreigners living in Damascus around Syria all said the same the situation improved a lot over the summer months. Multiple rockets hit central parts of Damascus just a few days ago, especially the Christian areas, five people died in different attacks. These incidents, which actually cannot be called incidents but deliberate acts of terror because there are no military targets nearby, were reported by all Syrian media and not just by activists. You might have been right about the summer months but the situation can change over time. Even while considering to visit Damascus myself I’m trying to be objective here, what you defined as “very safe” in the summer is not true in the current situation and potential tourists should keep it in mind. Only the coastal parts of Syria can be considered very safe to visit. As for the rebel term: a rebel is “a person who is opposed to the political system in their country and tries to change it using force”, according to Cambridge Dictionary. Some of these rebel groups are recognized as terrorist by the UN, EU or just by certain countries which have a broader terrorist definition. For the Syrian government the rebel and terrorist definition is the same: anyone who destroys public property or goes against the state with arms killing people is a terrorist, if I recall Assad’s words from an interview correctly. For a journalist it would be most objective to use the rebel category when in doubt, and mention which countries consider the group to be terrorist. Anyway thank you both for having the courage to be the first foreigners to visit certain parts of Syria during the crisis, it’s good to hear both of your points of view. 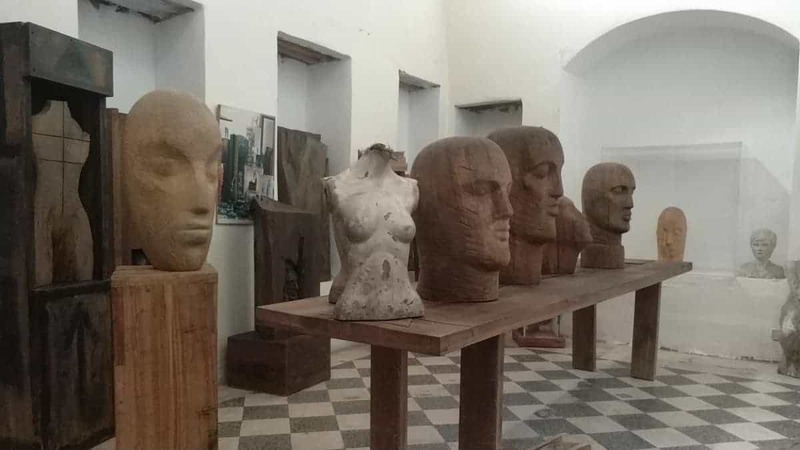 Dnes v Sýrii v podstatě není bezpečné místo, tudíž ty lidi není kam vracet,“ míní Markéta Kutilová. There are many statements in your articles which, while not necessarily being technically lies, are creating false image of reality and aim at manipulating the public opinion, the direction in which you try to sway the opinions is unmistakable. There are 19 million muslim living in EU, majority of them in FR (5.7mio), DE (4.9mio), UK (4.1mio), Italy (2.8mio). And EU is relevant in discussion about immigration, none of the immigrants aim for the Balkans or Russian Caucasus. You’re manipulating here with the fact that yes, there are another ~20 million muslims living in Russia (dispersed or in their home regions such as Dagestan, Chechnya, Tatarstan) and you include Russia in Europe + some millions in the Balkans. As for your claim that these “40” millions have been co-existing in Europe peacefully, you say A but don’t say B. Indeed, it’s valid for 99.X % of European muslims who are law-abiding, integrated into the society, common people like everyone else. You fail to mention “B”, which is that as a result of the muslim immigration, all countries with significant muslim communities have to fear the rise of radical islam in these communities and these countries have already suffered from islamist terrorists attacks. This is just a mere fact, and this fact should be also mentioned in a responsible discussion about immigration. Another fact is that these communities often struggle with integration, have lower education rate, higher unemployment and crime rate. Of course, this is not the topic here, I’ve only listed this example of how you don’t mention the “B side” in your articles. If I were to believe you and your , Marketa, I’d still think “there’s no safe place in Syria”, thus I’m thankful to Christian that he brought the other part of the truth to the surface, the truth that you and most of your co-journalists have kept hidden from the public. Good report, but one not-true thing on your post. There have been flights to Syria (mainly Damascus) from other countries at least last 2-3 years in this civil war period from 2011/2012. Cham Wing airlines and Syrian Arab Airlines have have flights to Damascus from at least from Dubai, also from Baghdad and from some other places. But Damascus-Dubai flight route have been operated at least last 2-3 years, there was some longer cancellations in first years of Syrian civil war. Your awesome!! It’s so refreshing to read your experience. I’m an American who’s parents grew up in Syria so I’ve visited Syria damn near every year for two months before the war. Thank you sooo much for posting your experience, I can’t tell you how much it’s needed. You, and people like you are all we have left. The main stream media tell nothing but lies. They are controlled by the same people who own the weapon industry, they want war. Your a great human. Thank you! Thank you for telling everyone the reality in Syria, how friendly and open minded the people in Syria are and how Muslims Christians and Jews get along side by side, totally different that the reality the media tries to paint. There are no “rebels”, only terrorists trying to destroy the country and plung Syria into darkness as they did in Libya. God bless you, I wish you the best! Please keep posting your experiences in Syria! Thank you for this. LIke the comments that were left before, I too wonder what the media’s intentions are in portraying Syria strictly as a war zone. No doubt, it is not to say that nothing horrendous is happening there but it is also hopeful and relieving to know that life is enjoyed. Damascus looks so inviting! I have asked myself that question so many times. There´s no denying they’re a horrible war happening and so many innocents have lost their life, but not everything is bad Damascus is now just as safe as any big European city, the only danger is foreign bombs, Same with Aleppo.. A problem with media in this war is very very few of them is on the ground, it´s hard for them to get visas. So they are using local contacts on the ground, most of the people they have met over the internet and never meet in person. The biggest newspaper in Norway have admitted that all the information is from people they have had contact with online, but they have never met them so they can not verify their information. As always, amazing post on Damascus. I want to travel to Damascus within the next two months. I am female travelling alone, what would your advice be and which hotel is best? I have no personal connection there and no one is willing to help me, as they keep saying it’s too dangerous. Heeey. Damascus is safe, just as safe as the big cities in Europe.But the visa is difficult and there´s currently no way to get the visa without having a contact inside the country. Hey there!Can you tell me how did u manage to obtain a visa?I wanna visit so bad this year!Im Ruso-Greek and want to see the results of my army there!Long live the free nations! I’m trying to arrange travel to Syria but hitting some bumps and could use all your experienced eyes if you’re still kicking about! 1. I have only found the visa form on http://syremb.com/ but it does not ask for references (as per blog), and the site additionally states they were not accepting applications after 2012. What is your experience of this and how did you obtain visas? 2. Have you visited with a tour guide, relative or friend? I have been looking for tours and tried soviet tours (seemingly the only place that goes to Syria) but I got the impression this was a scam when speaking to them. How did you travel to and fro, and if you used a tour company, what one would you recommend? Would really appreciate your advice and hey, if any of you are more experienced going to Syria and could team up with a newbie that would be great! Hello Sam. sorry for the late reply. 2. I have some local friends in Syria that help me with the visa, so I did NOT join tour, you are completely free to explore the cites and sights on your own, but you need a “guide” when traveling from cities to cities, this is mostly for getting through the military checkpoints that´s outside city´s. The checkpoints only take a few minutes to pass and they were never any problem, but the soldiers there didn’t speak any English so the “guide” will explain to them what you are doing there. Tour guides are expensive!!! There must be a good way to visit Sirya!! I also want to go to syria, I want to go do Aleppo, Damascus and Yabroud (a small city near Damascus). Do you know where I can find options (pehaps this hotel you suggested would be very expansive for me) . Good to see this and read of your experiences. I have been twice to Syria and it was one of my all time favorite places. There being a few soldiers on the streets has been true for a very long time, even prior to the present situation. Although you were generally quite safe in Damascus I would not downplay the situation in other parts of the country or the full force of recent history. There has been much suffering and there remains unstable areas of active conflict and risk. I traveled around much of the Levant, including an extended stay in Lebanon and it is true that the reality of being there does not match media portrayal. I hope to see the end of this war and a start to rebuilding. And I hope to see greater coexistence in Syria as the future comes. I bought my kafiya at the entrance to the souk in your picture showing the Roman Temple of Jupiter. Hello Sean, sorry I haven’t seen you comment before now. I do agree that parts of the country are unstable, but the situation is improving from week to week, I’m almost daily in contact with local Syrian friends on Facebook that I’ve met in person. And they often tell me about the situation on the ground. This is people all over the country both boys and girls. Especially the girls are telling me they are feeling a lot safer, even when travelling home to their home cities in Hama and Aleppo region. But Syria is still an ongoing war zone so thigs can, of course, change fast. Hi Christian, well done for your amazing blog and thank you! I lived in Damascus for 3 years with my family and it was before the war ( 1994-96) I was a teenager at that time, and was the most beautiful and affascinating period of my life. Syria was and will always be a magic and attractive place. Syrians are kind and hospital. Once you go there, you’ll never forget it. Hi, thanks for sharing details of your visit to Syria which I found fascinating. I wish so much I could visit myself but my attempt to get a visa via a travel agent in Damascus was unsuccessful. I am a British citizen but am half Irish and entitled to an Irish passport. Do you think the fact that you are from Norway, a neutral country, helped you get a visa and that if I applied as an Irish citizen I would stand a better chance? Actually so has Norway been one of the worst countries in supporting terrorist groups in this war, we have been training groups in Syria that have been fighting the government so we are far from a neutral country. When I visited Syria so did I meet, British, Germans, Croatians, Spanish, Americans so the nationality of the passport is not the biggest problem. But only about 1-2% of everyone that applies for Syrian visa gets approved these days. But you could try your Irish passport, you might have a better luck with that. “I came without political leanings”. Good one. Regarding the visa – you mention it takes 10-12 weeks. Do you need to send your passport as well with your initial application? Or can you keep this and send that at a later stage? This is a terrific post. I think it is important to know that even in times of war, life carries on. I’m also happy to put Syria back on my travel list. What about for Americans? Is it safe for an American citizen to visit Damascus? Aleppo? Did you meet any American tourists on your trip? Amazing blog. I live in Oman Khasab Musandam. You should check out here if you are planning on your next trip.